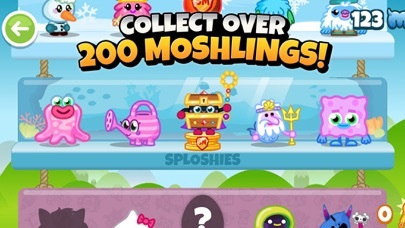 Join Buster Bumblechops in this goopendous adventure to complete the ultimate Moshling collection. Catch and hatch up to six new Moshlings every day. 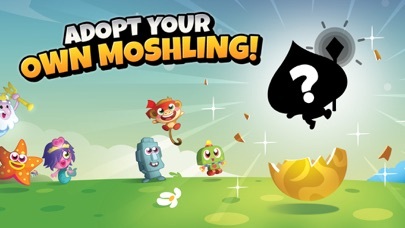 You can even hatch Ultra Rare Super Moshlings using special Golden Spoons! 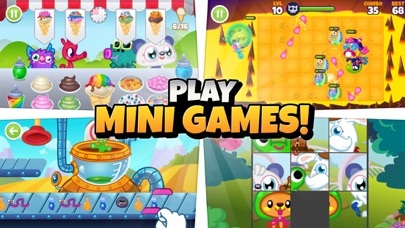 Along the way you will adopt, name and customize your very own unique pet Moshling, play fun mini-games and solve puzzles as you explore the ever-expanding world of Moshi. 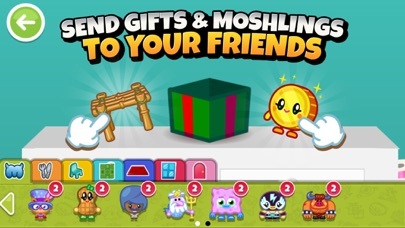 This app is completely free with no in-game payments or transactions - just 100% Moshi fun for everyone! •	Find, hatch and collect Moshlings - Adopt, customise and name your very own unique pet Moshling - Hatch up to six new Moshlings every day - Care for your Moshlings, feed them and decorate their home to make them happy - Find Super Moshlings, ultra rare superheroes in tough-to-crack eggs •	Play together - Add your friends’ unique Moshlings to your collection - Send your friends gifts - Visit your friends’ homes to see who has the best items and rooms - Browse your friends’ moshling collection •	Solve puzzles, play fun mini-games, collect items - 19 fun mini-games including: Potion Commotion, Glumpageddon, Flick ‘n’ Mix, Moshi Slide, Math Mash, Monster Maze, Time Tangle, Ice Scream Parlour - Learn as you earn Rox: memory, maths, spelling, shapes, mazes, geography, telling the time - Take a spin on the Wheel of Moshiness for daily rewards - Custom Moshling house with expandable floors, updated decorations and room items - Moshi Shopping Mall with Snozzle Wobbleson’s Grossery Store & Dewy’s DIY Shop Moshi Monsters Egg Hunt is free to play with your parent’s permission. •	SAFETY and COPPA compliance We do NOT automatically collect personal information through this App. To save game data, users are be required to create an account and submit an email and password. •	Customer Service We create worlds that fire the imagination. 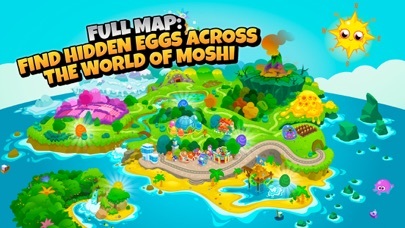 If you have any questions or recommendations please get in touch at egghunt@moshimonsters.com. Mind Candy Limited, 4th Floor, Bonhill Building, 15 Bonhill Street, London, EC2A 4DN UK. This game is awesome. I downloaded it on a whim for my 5 year old daughter and we love it. There are so many elements to this game that keep her engaged. It teaches her how to count, which flags go to which country and budget to buy things with her rox. I love the new addition of the two player games. It is an app that allows us to play together. I really liked this game but now I’m down to only 1 more moshling and the game is glitching and only giving me the same puppy over and over... very disappointing. It’s a great game, but it’s execution is poorly done, and can be boring for kids. Don’t get me wrong, the game is indeed very fun, but it can get old really fast due to how the game is laid out. 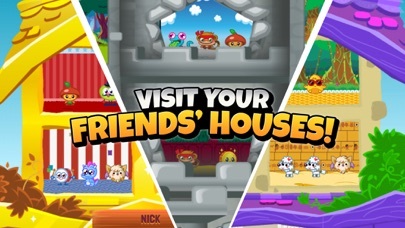 Where Moshi Monsters falls short is its lack of activities that can be done with players “friends”, Moshi Monsters is other people’s creations you can give your code to. There’s no real things to do other then a select few games, and it’s “friends” activities only consist of gifting them, with no communication to them otherwise unless you were sitting next to them outside of the game, Unless you would count the drawing activity as “social”, it’s a very closed ended game. So here are some suggestions: 1) More multiplayer games, or options to do more things with friends. More open ended ways to hang out with friends in the game. 2) More shops, selling different things, or more places with chances to things, which might include: Carnivals, Farms with farm related activities, Or other smalls shops 3) Some sort of adventure mode to partake in with friends, where a story line could be in order, and a challenge to undergo. 4) More items to collect, so gameplay is not strained. Items which come and go in the year. 5) More Moshi Monsters to collect. 6) More games which require things to do, and more challenges in game. 7) Some places in the map, which are blank, but showing animation actually having a purpose, like the Beehive and the Cave in the map. 8) More multiplayer aspects, even without friends in the game. I seriously love this game! Truly addictive! But lately when I get the bonus egg from the sanctuary, it has been the same moshling. I have gotten the same one for at least 10 times in a row. I have emailed the developer, but they still haven’t gotten back to me to fix my problem. I love this game, the moshlings are adorable and it reminds me of my childhood playing Moshi Monsters, but I’ve been playing for not even a week and all I keep getting is repeats. I only have thirty or so moshlings and all four of my daily moshlings have been repeats for the past three days. It’s getting really frustrating and boring because there isn’t as much excitement to get a new moshling since when I started playing. I love the app! In fact it is addicting. I’m always checking to see when the eggs are going to be ready to hatch. But I have one small the problem. I have been getting doubles a lot. Now I know that is bound to happen, but it is happening so frequently, it’s frustrating. Like I said I am always looking forward to the egg hatching but when I get my egg I get someone from a random group that I don’t need any for. That’s fine I understand. But the bonus eggs are killing me. Now doubles for the bonus eggs are a lot more reasonable. But when I open up the egg either 3out of 4 eggs are doubles or 4 out of 4. Now I have the 6 sets that need one more moshing to get a super Moshi and they haven’t come. The zoshiling set was one of my first sets to get and I have been playing this game for around 2 months and the set isn’t complete. This just bugs me so much and I thought it should just be took notice of. Overall the game is good and I recommend this. Have a good Valentines Day! 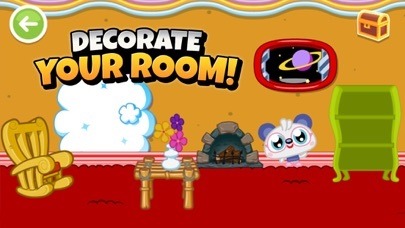 I think that you guys should make enough rooms for all of the sets and you should make the rooms a little bit bigger so that you can put all five of the moshling set in the room I already have the limited amount of rooms and it is really not enough because you can’t put all of your moshlings in them.